Ericsson has committed to developing Ericsson Emergency Wallet, a mobile financial services solution, for deployment in the immediate aftermath of disaster or crises to support humanitarian organizations and affected populations. The Ericsson Emergency Wallet solution will be designed for use in emergency situations where financial infrastructure is lacking. It will enable the distribution and use of digital funds by relief workers and impacted populations, which can help address issues such as safety, expense and traceability that are associated with handling cash. Many of Ericsson's humanitarian partners have requested digital financial services solutions for emergency situations. There is an urgent need for an Emergency Wallet solution, as mobile financial services, including mobile money and mobile wallets, which are among the quickest, safest, and most efficient ways of extending the benefits of basic financial transactions to people who need them. Ericsson presented its intentions at the World Humanitarian Summit, in support of the United Nations' Connecting Business Initiative. The solution demonstrates the potential of Information and Communication Technology (ICT) to transform humanitarian response. 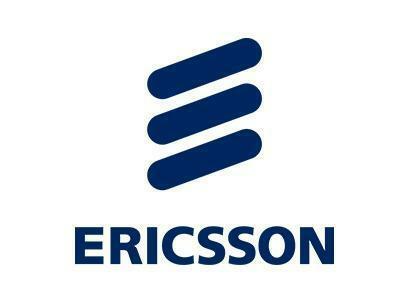 It builds on Ericsson's Technology for Good initiatives and the company's experience in developing scalable mobile financial service solutions. The solution design and prototyping is co-funded via the Level One Project from the Bill & Melinda Gates Foundation. The emergency wallet is an important part of a broader public-private commitment to the Level One Project - an effort to bring everyone into the formal economy by providing digital financial services to all. Launched at the World Humanitarian Summit, held May 23 to May 24, 2016 in Istanbul, Turkey, the Connecting Business Initiative is a multi-stakeholder initiative led by the United Nations International Strategy for Disaster Reduction (UNISDR), Office for the Coordination of Humanitarian Affairs (OCHA) and United Nations Development Program (UNDP). With a focus on disaster risk reduction, emergency preparedness, response and recovery, the initiative aims to support the creation and strengthening of effective models for public-private partnerships and business engagement, and to scale and replicate those models in high-risk countries and regions. Ericsson is also committed to working actively with Connecting Business Initiative networks globally to provide technology solutions and employee expertise in support of disaster and humanitarian response.